I am currently in the final year of the 2-year programme, heading towards dissertation. 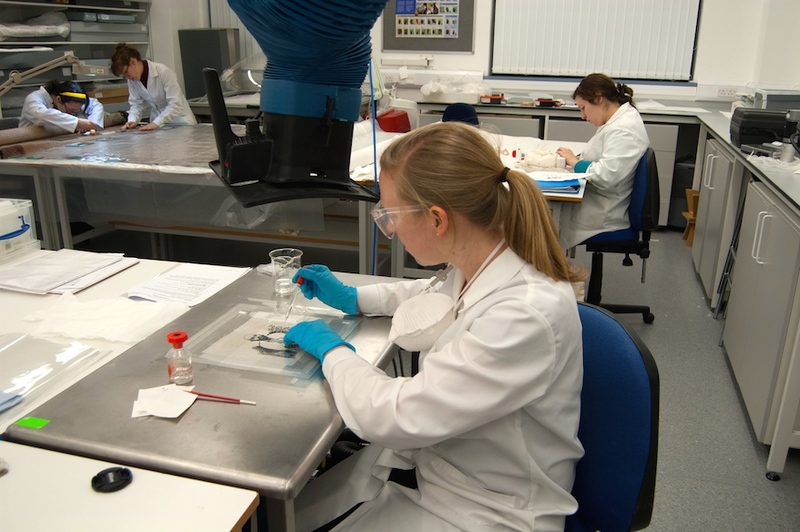 As the course has progressed I have learned and put into practice more complex treatments which have increased my understanding of the techniques and chemistry involved. I have had the opportunity to work on varying types of objects, and within the class we are able to share our experiences of carrying out differing treatments and learn from each other. Through a series of arranged events I have been able to share my experiences and engage with the community. After completion of the programme I will be staying in Scotland and have secured a short internship with Younger Conservation Limited. The Anna Plowden Trust scholarship has provided essential financial support for my studies, and has given me the opportunity to be a part of the conservation community.